Sadly, James Cox passed away after saving his final draft of this article on the BLOG. This is an excellent article that was featured in the April 2017 edition of MAPS Digest. We now have permission from MAPS to publish it on the Dry Dredgers Blog and are quite happy to have his latest and final writing. We will miss Jim dearly. He was an avid fossil collector, helped the Dry Dredgers a great deal with our educational outreach projects and above all, a dear personal friend. Here’s to you, Jim! 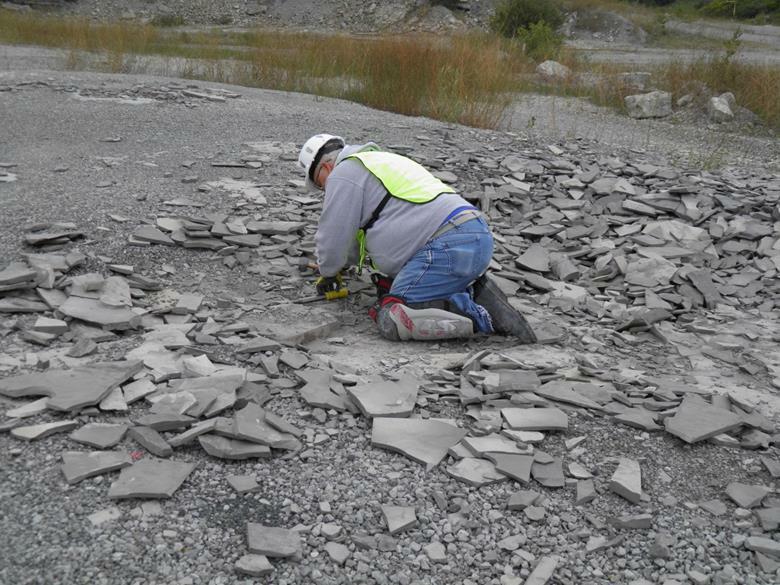 As members of the Dry Dredgers in Cincinnati, Ohio we are interested in invertebrate fossils trilobites, edrioasteroids, and other marine organisms. 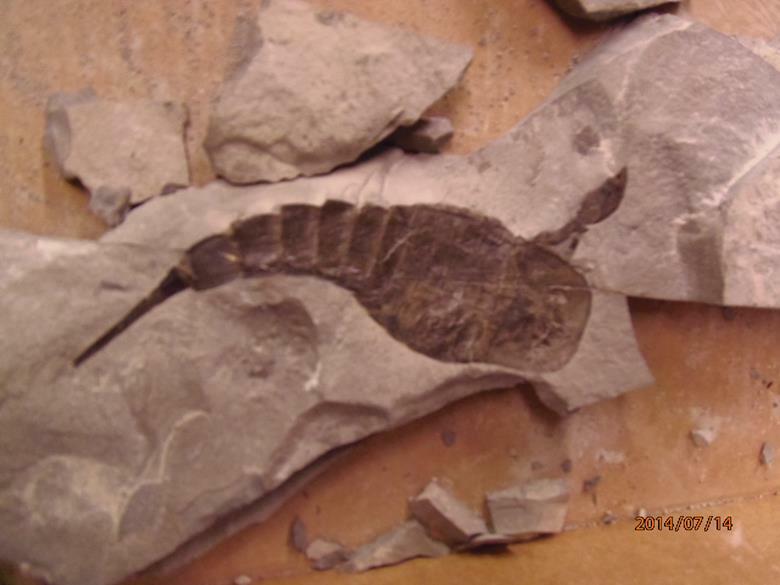 The ultimate find is to uncover a complete or nearly complete Eurypterid. 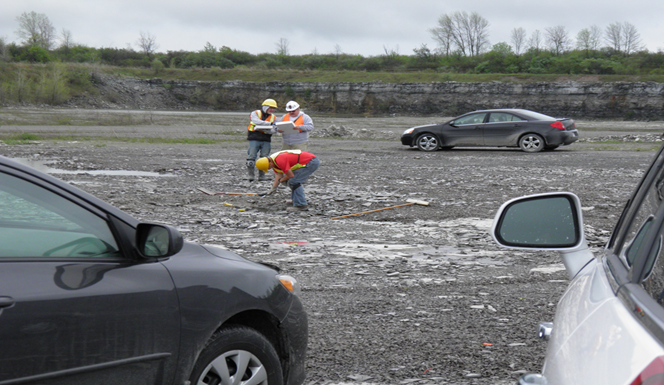 Over the past 6 years we have hunted the Ridgemont Quarry in Ft. Erie, Ontario, Canada with moderate success. First, what are Eurypterids? Eurypterids were giant chelicerate arthropods that have been extinct since the Permian Period. 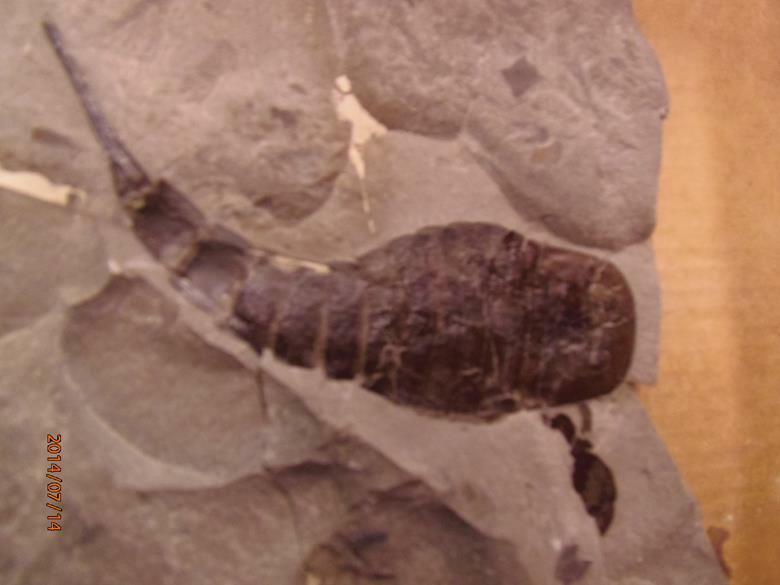 Eurypterids are rare as fossils, and many eurypterid fossils are likely exoskeletons shed during life (molts), which make it problematic when seeking to determine the types of environments in which they lived. The subject of eurypterid paleoenvironments has been a matter of discussion and debate for the better part of the last century, and researchers have suggested a variety of potential paleoenvironments, from fresh water fluvial systems (rivers and streams) to brackish or hypersaline nearshore environments to open marine. Eurypterids have a nearly global distribution, but they are usually found as fragments. 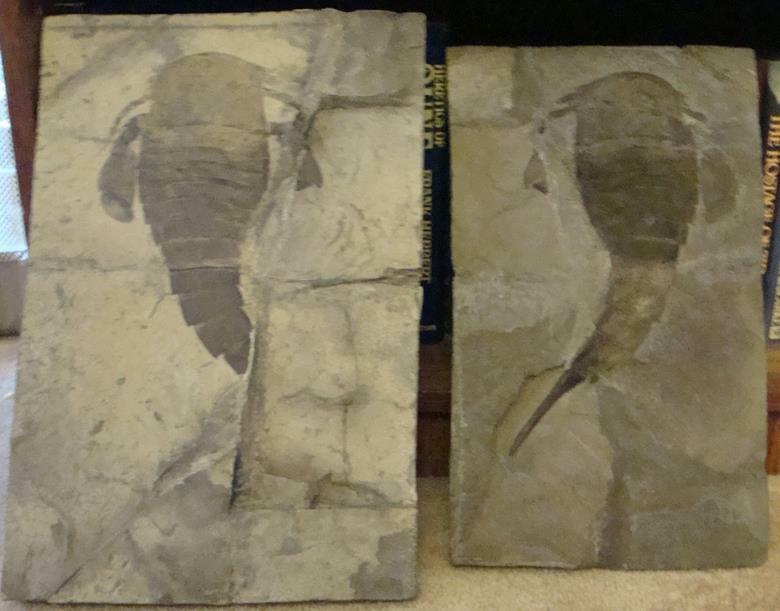 There is, however, an Upper Silurian rock unit in New York and Ontario that have exquisitely preserved Eurypterids. This rock unit is called the Bertie group. In this group, there are several Eurypterid “colonies” or “pools” where fossil Eurypterids are common and exquisitely preserved. These pools are called the Otisville Basin, the Pittsford Pool, the Herkimer Pool, and the Buffalo Pool. The latter two pools are more remarkable. The Herkimer Pool is in Herkimer County, NY, and the Buffalo Pool is near Buffalo and extends into Ontario. Both of these Eurypterid pools were thought to be either shallow salt flats or tidal flats, where bodies and/or molts of Eurypterids living nearby washed up. It is believed that these molts naturally accumulated in shallow depressions, called windrows, in the tidal flats. The windrows at the fossil sites look like concoidal, or plate like, depressions in the Dolomite rock. To find Eurypterids, one must find natural fractures running through the concoidal depressions and correctly break them open to reveal the windrows. Usually the Eurypterid or Eurypterid pieces are centered neatly in the windrow. Eurypterids have a distinct body shape. They have a “U” shaped head followed by a series of 12 articulated segments called tergites. Below that is a tail, which is called the telson. The body is divided into three main sections: the prosoma, the mesosoma, and the metasoma. The head is called the prosoma. It contains the Eurypterid’s compound eyes and a pair of tiny eyes called ocelli. The prosoma also has appendages, such as walking legs, pinchers, and/or paddles. Some genera of Eurypterids have all walking legs and no paddles, while others have long pinchers. Below the Eurypterid’s head is the body. It is called the mesosoma, which is made from a series of tergites. The last body section is called the metasoma, which contains the telson, or tail. The telson can have many shapes depending on the Eurypterid genera. It is most often either stinger shaped or shaped like a paddle. Eurypterus remipes had four pairs of walking legs, one pair of swimming legs, and a stinger like telson. 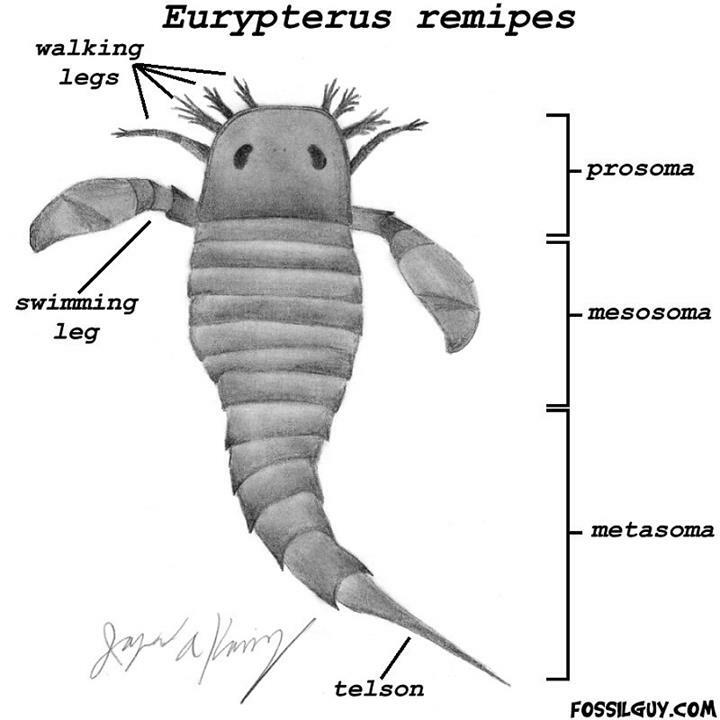 Below is a diagram of Eurypterus remipes. So how do we seek and uncover these elusive arthropods? 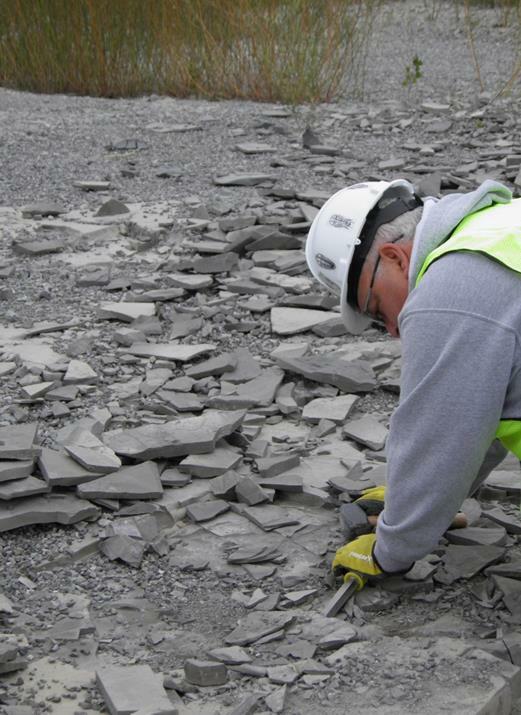 First off all quarries have safety rules, hard hat, safety glasses, reflective safety vest and steel toed boots. I have also found gloves and a good set of knee pads will make the hunt more comfortable. I personally wear hockey shin guards when kneeling on rough slate. You will also need a stone or masonry chisel and either a 2 or 4 lb. sledge hammer. Some even use a pry bar for lifting large slabs. 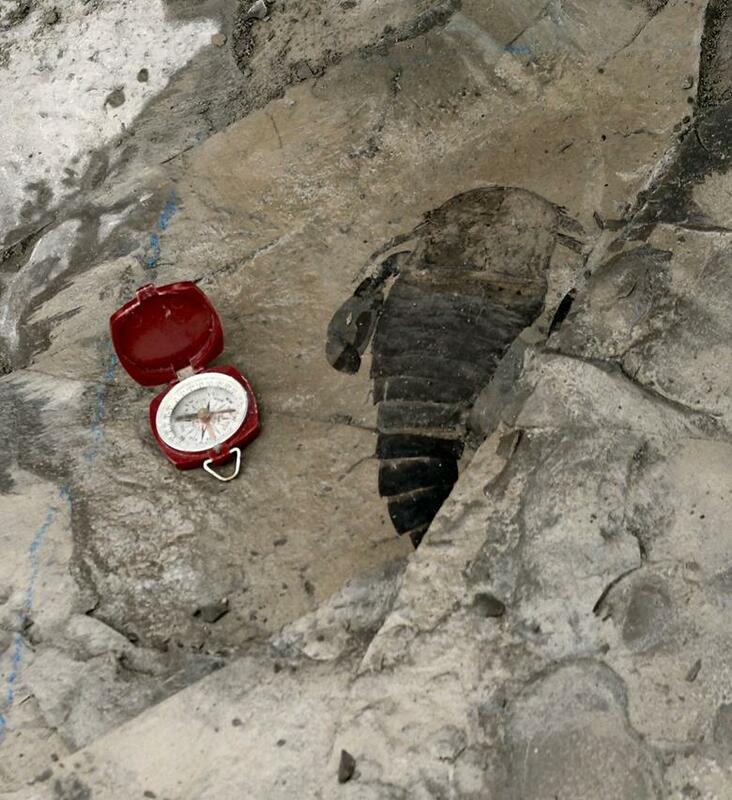 If you are lucky enough to find an area where others have removed down to the fossil bearing layer you can continue removing shale looking for signs of eurypterids, these will be body segments due to the disarticulation of the fossils during fossilization. When you start finding these body segments keep removing slabs in that direction if the number of segments reduces to nothing then go back to where you started move over to either side parallel to your original excavation and repeat the removal process. Tip: Take your hammer and tap on the slate. If it sounds hollow, that could be where water flowed and washed the eurypterid fossils into a windrow. Prepared –the telson did not split so one side is complete with a 3D telson.